This bright 900 sq.ft. 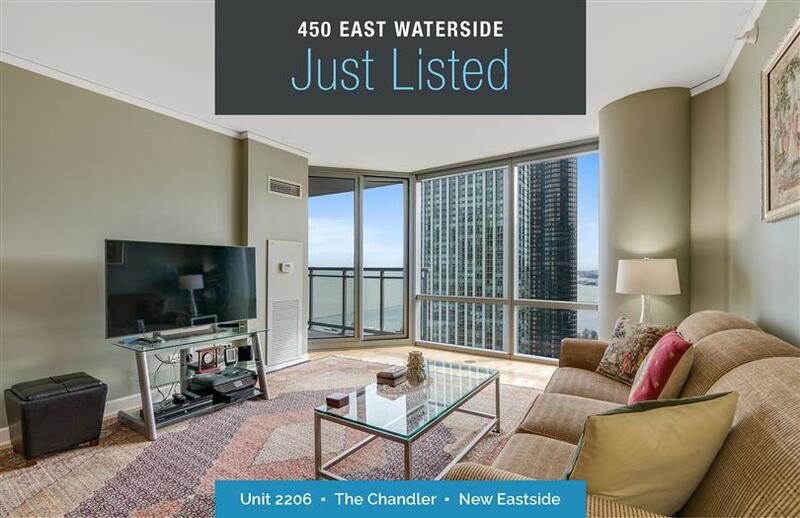 1-bedroom/1-bath condo at "The Chandler" is a perfect in-town or primary residence with deluxe finishes & features for comfort & easy living plus Park and Harbor views! Kitchen features granite countertops, full backsplash & KitchenAid appliances. Bedroom has a walk-in closet. In-home washer & dryer. Conveniently located near the Aon & BCBS buildings and minutes away for you to enjoy all the great events at Millennium & Grant Park, museums, lakefront, Symphony Center, Riverwalk, shopping, theatre, & dining. Building amenities include 2 rooftop sundecks, indoor pool, exercise room, party & media rooms, 24/7 Door Staff. Deeded garage parking sold separately for $45k.